Hailing from the proud land of New Zealand, Erin Strong has been dipping her digital pen into the inky depths of China for four years. From refining teaching curriculums in Hebei, to providing in-depth reviews of hot coffee houses for China's capital city mag the Beijinger, Erin would like to think she's made herself as a tradie wordsmith. 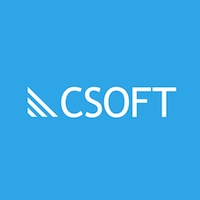 Now fronting one of CSOFT's Technical Communication channels, she is honing her craft in the domain of technical communication, striving for accurate, clear, and meaningful communication with every sentence. As the technological boom of the 21st century continues to define our lives, China maintains pole position as the manufacturer of modernization. But, not only is China manufacturing these innovative developments, it is now. Much of the latest tech products and services are being organically designed and developed in China, before being released to other markets. And while Chinese technical writing teams are able to tailor complex information towards the domestic market with ease, what happens when culture becomes a barrier to going global? Productivity won’t stop if writers become sick, take extended holidays, or depart from your company. A good outsourcing company will have access to numerous, talented technical writers who can immediately take over any requirements, meaning support is guaranteed 24/7. Technical knowledge is fundamental to any industry, and a confident outsource company will have highly educated technical writing teams and strong processes in place to rapidly train their people in new technologies, meaning your product or service is quickly and expertly understood. Developing successful documentation requires constant communication between technical writers and developers. Reliable outsourcing companies know that they need to build those communication foundations and will have experience in doing this with many different teams. This means that you won’t struggle with any internal communications being misinterpreted or misrepresented. International writers often have a hard time successfully adapting within a Chinese work environment. By reaching out to companies with teams of technical writers, it means that talented writers can be comfortable in their chosen work environment, remain highly productive, and output quality content that meets your requirements on a long-term basis. Writing workloads are never constant; it is a reactive process as products are made and services are developed. During high-intensity periods, it’s a relief to know that you can count on a large team that has the resources to support you, without having to go through lengthy hiring and training processes for what may ultimately be short-term requirements. International visas, insurance, and a multitude of other financial factors are completely mitigated if you partner with an outsourced technical writing team. You can then concentrate your focus on developing your business goals and confidently targeting your next target market. A successful global approach is strengthened immeasurably by integrating your business goals with the resources capable of achieving them. Talk to us now to see how we can help and ensure that your information is delivered in an authentic, accessible manner.